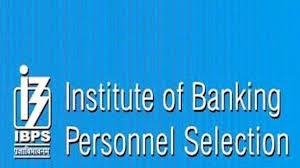 Applications for recruitment of 1599 vacant posts of specialist officers in Banking Personnel Selection Institute have been invited. The last date for applying is November 26, 2018. Preliminary examination dated 29 December 2018 The main exam date is 27th January, 2019. Agricultural Field Officer (Scale I) 4 year Degree (graduation) in Agriculture / Horticulture / Animal Husbandry / Veterinary Science / Dairy Science / Fishery Science / Pisciculture / Agri. Official Language Officer (Scale 1) – Post Graduate Degree in Hindi with a subject at the degree (graduation) level. HR / Personnel Officer (Scale I) Graduate and Two Years Full time Post Graduate Degree or Two Years Full time Post Graduate Diploma in Personnel Management / Industrial Relations / HR / HRD / Social Work / Labor Law. Apply soon – 1599 vacant posts of specialist officers in Banking Personnel Selection Institute have been invited. The last date for applying is November 26, 2018. Preliminary examination dated 29 December 2018 The main exam date is 27th January, 2019.